I am keeping pretty busy these days and have little time to get ready in the morning. So, these past couple of days, I had been dressing up in a hurry. 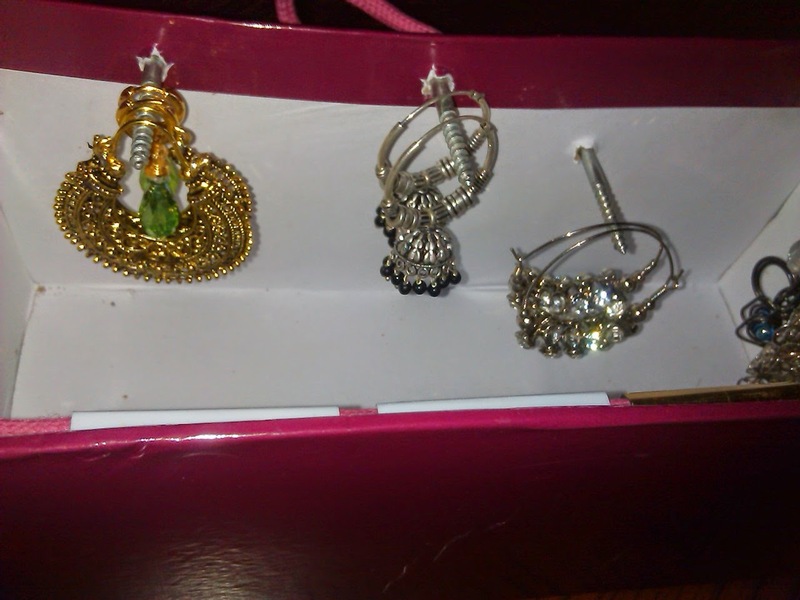 I realised that my frugal earring collection had been lying dumped in a small packet somewhere in my almirah. Who wanted to take it out every morning? So yesterday, right before bed time, I took out five minutes (not a minute more!) 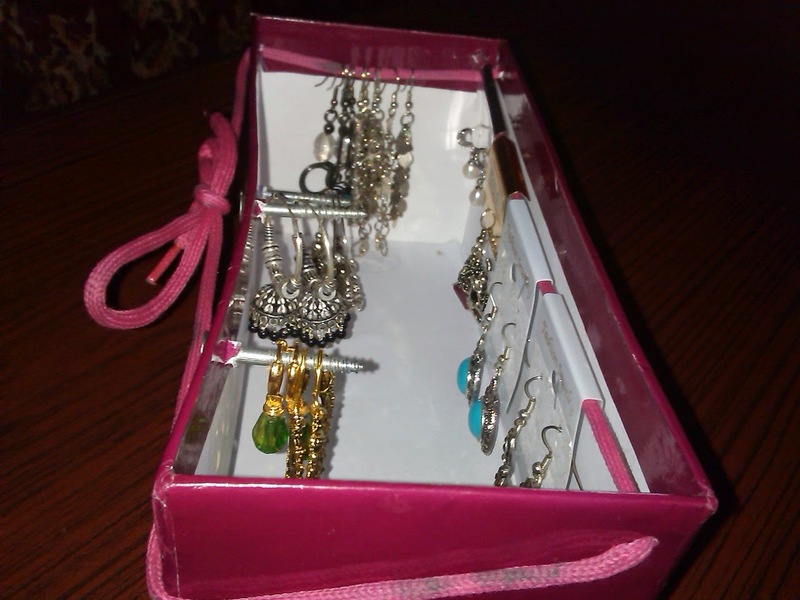 and created a functional space to make my earrings easily accessible in the morning. The box doesn't really look pretty, but it does the job. 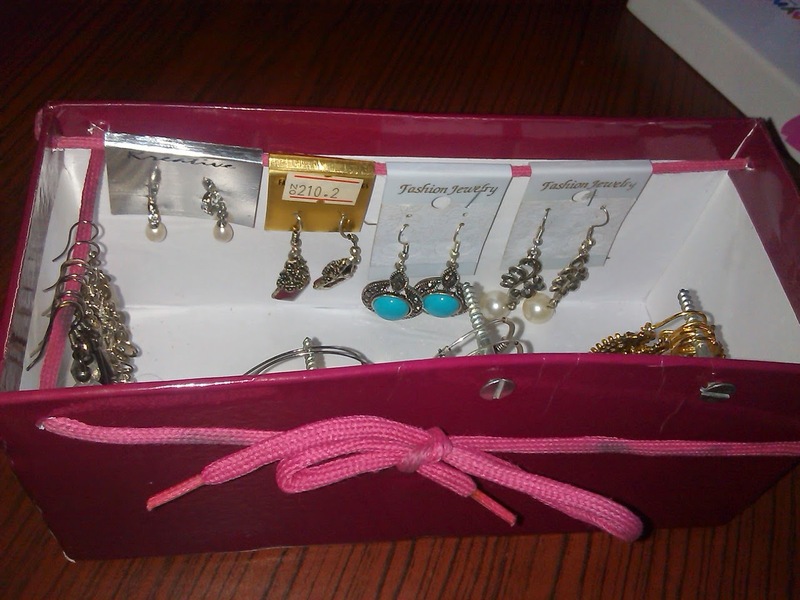 I used a very small cardboard box, a shoe lace and a couple of nails. 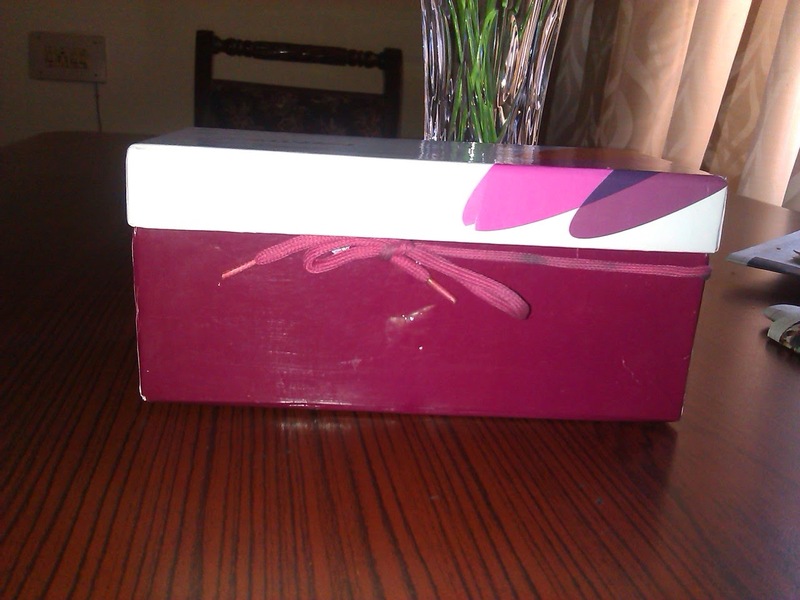 I am sure one of these days, I will find time to dress up this box, But, till then I am pretty happy with it.